Three men condemned to die: Aldous Weaver, a lonely heretic monk turned sorcerer, is imprisoned for accidentally incinerating the leader of his order. Kendrick the Cold, an infamous crusader turned fugitive, is a villain who knows he can never be a hero. Theron Ward, an aristocrat with a penchant for slaughtering monsters, is a legend in his own mind. A broken nation in need of a savior: Ravaged by plague, decimated by dark magic, Brynth is infiltrated by a foreign evil seeking to dominate from within. An unlikely bond forged in the furnace of chaos: Three criminals become comrades when faced with the choice to escape the land that cries for their execution or, with fire and sword, march forth against the greater evil. 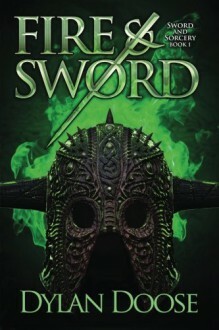 A fantasy sword and sorcery adventure for fans of Joe Abercrombie, Patrick Rothfuss and Andrzej Sapkowski!